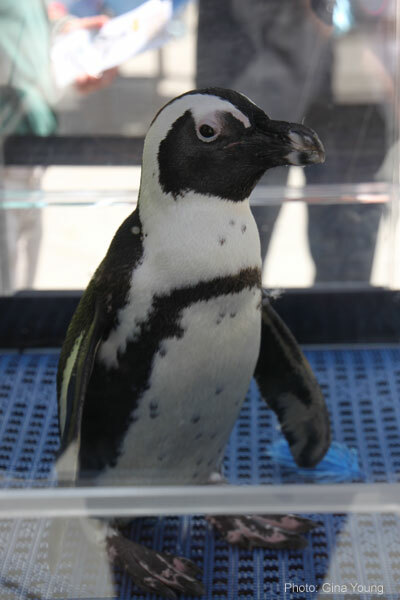 Visitors to the Aquarium are probably familiar with our penguin colony, but have you ever seen a penguin out around town? Last Wednesday, members of the West End House Boys and Girls Club had just that experience when Roast Beef – one of our star penguins – paid a visit to the Allston-based community organization thanks to a generous donation from New Balance. It was Boston school vacation week, so there were lots of club members on hand to meet Roast Beef and the Aquarium staff who came with him. And at the end of the presentation, everyone had lots of thoughtful and intelligent questions to ask. 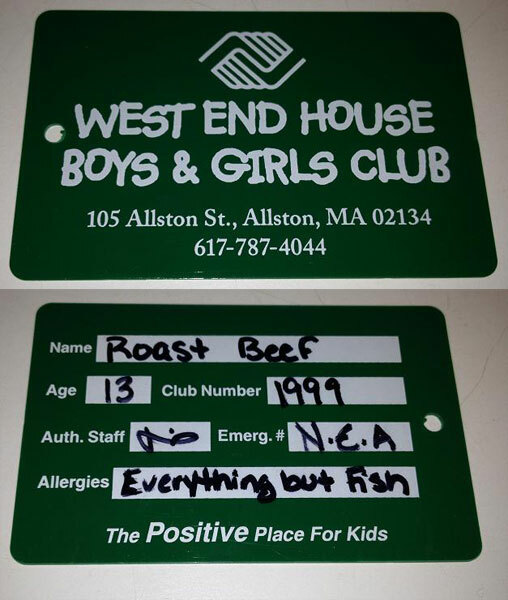 We’re pretty sure everyone had a good time because at the end of the visit, they made Roast Beef an honorary member of the West End House – complete with his own membership card. 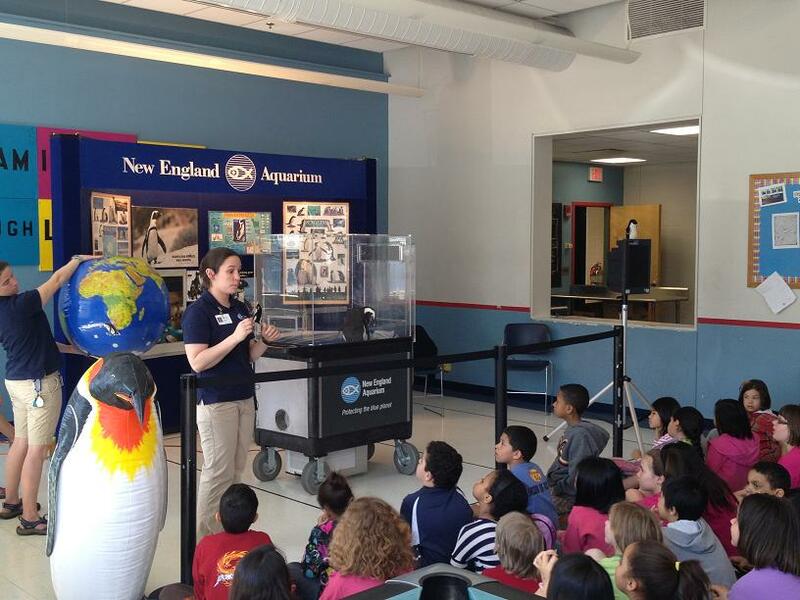 Visits like this are an important part of the community outreach that the Aquarium strives to provide, and this particular visit was made possible with the support of New Balance. They are both a Corporate Member and Corporate Sponsor of the Aquarium, and the donation of an Animal Ambassador program (which includes penguin outreaches) to a school or community organization of their choice is one benefit of their membership. If you’d like to learn more about our Corporate Partner programs, please see here. Today a boy asked me if macaroni penguins are called that because they like to eat macaroni!